Virginia Rails are uncommon breeders in the marshes south and west of Fish Lake, the marsh east of the north-south road, and the marsh north of 24 and west of Cedar Creek. Soras are relatively common breeders in the marshes around Fish Lake. 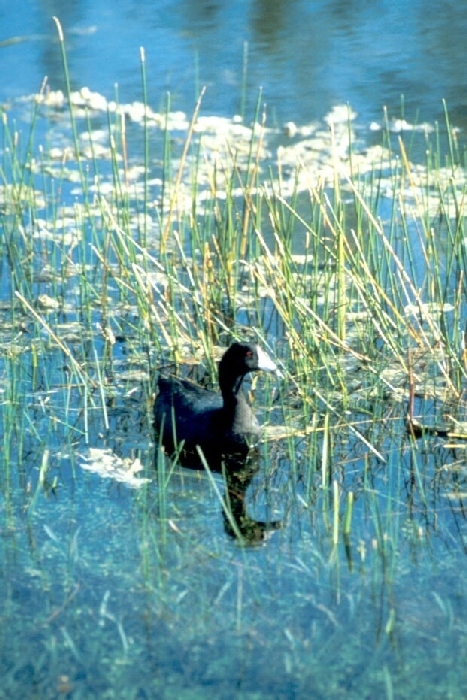 Coots are rare to uncommon in the summer at Cedar Creek, but are common in the spring migration and abundant on Fish Lake during the fall.